The courts saw that County Stores made every effort to follow the FLSA. The Country Stores employee handbook mentioned the FLSA rules on salaried employees. It stated that they intended to follow those rules and reimburse for any accidental deductions. This was one bit of “evidence” that Country Stores used to prove its case. What happened with Sandra was a payroll mistake and not a deliberate deduction. Mistakes happen and, since the company could prove that they understood and followed the laws, the 10th circuit applied the FLSA’s “window of correction” regulation and denied the employee’s claim. The window of correction gives employers a small window to correct FLSA errors so that employees don’t lose their salaried status. Losing salaried status can result in employers owing employees for unpaid overtime wages. The window of correction may apply when an employer normally makes every attempt to follow the FLSA but makes a payroll mistake anyway, resulting in a deduction from a salaried employee’s paycheck. In order to qualify for the window of correction, employers must reimburse the employee as soon as they find out about the mistake. In the case stated above, Country Stores immediately fixed their mistake when Sandra notified them and paid her more than she was due. The DOL applied the window of correction in this case. Country Stores was not found guilty of any wage and hour violations. Employers do sometimes win wage and hour lawsuits. Most of the time, though, the courts rule in favor of the employee. Employers need to be familiar with the FLSA or hire someone who is so they can stay compliant. 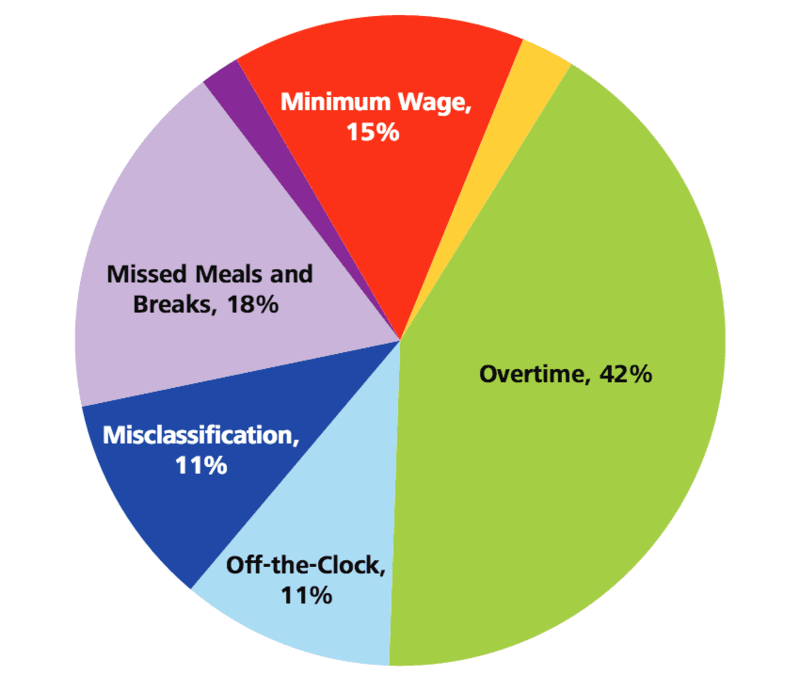 The vast majority of wage and hour cases are related to overtime (as shown in the image above). This is likely because overtime can get botched up in so many ways. Take a look at our infographic on avoiding overtime violations to learn more. Track time with Timesheets.com and avoid common payroll mistakes.